The host was very nice and accommodating. There are two close convenient stores for basic needs, and a pharmacy. Taxis are also conveniently close at the busy street two blocks south near the hospital. The location which is 10 min walking from downtown and we had a safe place to parking the car we rent . I liked that the property was nestled in a neighborhood, but close/walking distance ti center of city and points of interest. Es un hotel pequeño no de lujo pero bonito, agradable, limpio con mucho espacio lo cual nos gustó mucho. Bien ubicado. Lock in a great price for Suites Bello Xochimilco – rated 8.7 by recent guests! Suites Bello Xochimilco This rating is a reflection of how the property compares to the industry standard when it comes to price, facilities and services available. It's based on a self-evaluation by the property. Use this rating to help choose your stay! 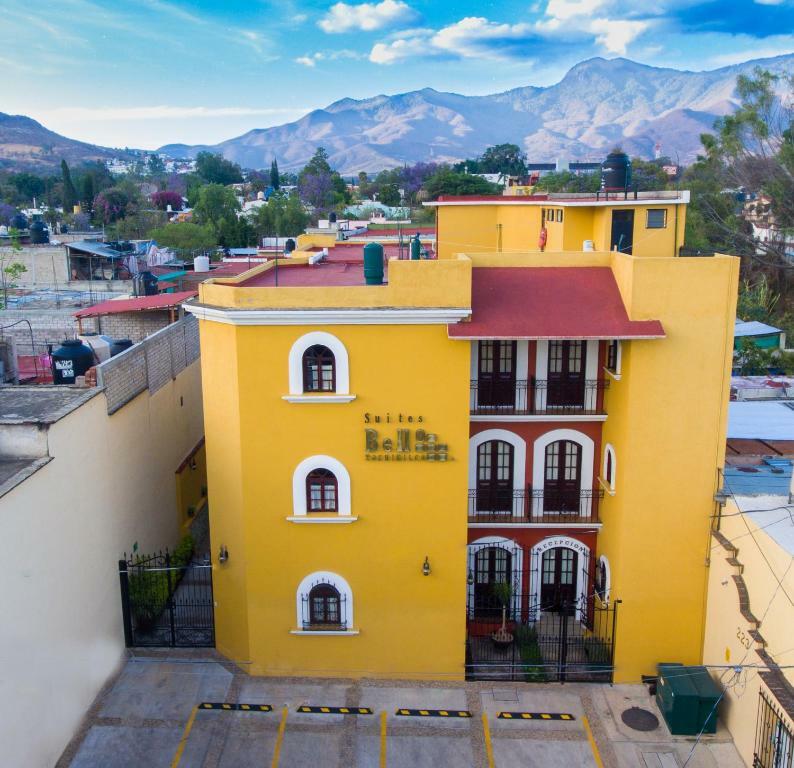 This Oaxaca hotel is minutes from the city center and within easy access of the historic districts. This hotel offers free Wi-Fi and Mexican styled suites with a private balcony. Each Suite at the Suites Bello Xochimilco features cable TV and an in room safe. Suites also provide a kitchen with oven and refrigerator as well as a dining room and a living room. 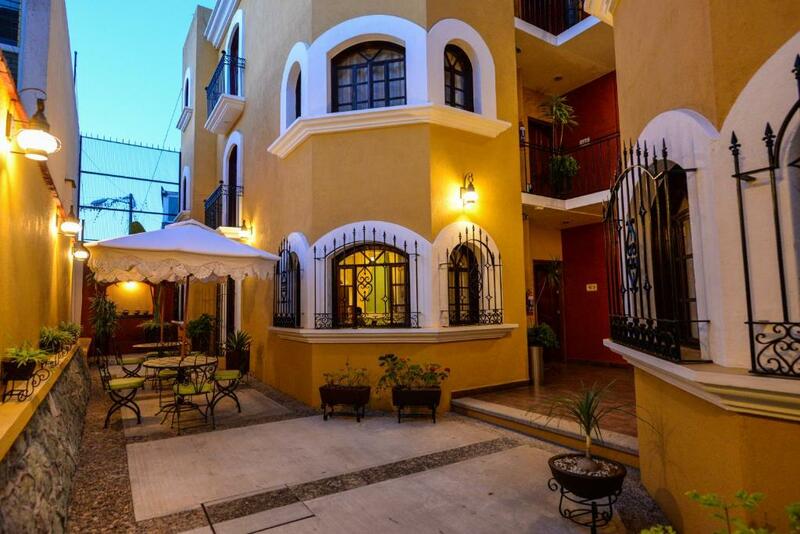 At this boutique hotel located in Xochimilco guest can enjoy the Oaxaca Regional Museum and the archaeological site famous for its pre-Columbian Mesoamerican buildings, near by this Suites Bello Xochimilco hotel. When would you like to stay at Suites Bello Xochimilco? This spacious suite has 2 twin bedrooms and 1 king bedroom, as well as a full kitchen and living room. Please note that the price is based on 2guests. Maximum occupancy is 6 (see Hotel Policies). This 2-bedroom suite has a full kitchen and living room. Additional guests have a cost of $300 MXN per night. House Rules Suites Bello Xochimilco takes special requests – add in the next step! Any additional older children or adults are charged MXN 357 per night for extra beds. Suites Bello Xochimilco accepts these cards and reserves the right to temporarily hold an amount prior to arrival. From 22 August until 14 September a Mexican breakfast will be included in the rate. Please inform Suites Bello Xochimilco of your expected arrival time in advance. You can use the Special Requests box when booking, or contact the property directly using the contact details in your confirmation. The kitchen could have been better stocked, so you could cook. We needed cooking knives, chopping board , dish soap, tea towel.... We would have liked a soft sofa instead of two seater hard sofa. The staff were fantastic, friendly & helpful. They made up for the short comings. The location and staff were great. The toilet seat was broken. The WiFi didn’t work that good. The furniture was spartan, hard and not comfortable. Particularly the "sofa" which is just an upright bench. A comfortable sofa is a pretty basic comfort item to not have. There is no comfortable place to sit except in bed. The lighting throughout was bright and awful. Tile floors throughout so they're easily cleaned but again, just add to the feeling of hard surfaces everywhere. This place could really use some softening. Also, there are NO kitchen supplies like salt and pepper, so anything you need to prepare food at home you must purchase or bring yourself. Basic coffee-maker, microwave, stove & fridge on site. The neighborhood is a 20-25 minute walk from Centro Historico so there's an hour out of your day just getting to the Zocolo which is fine if you're fit and up for it, but during extended stays it's a bit wearing. I was there for a week.